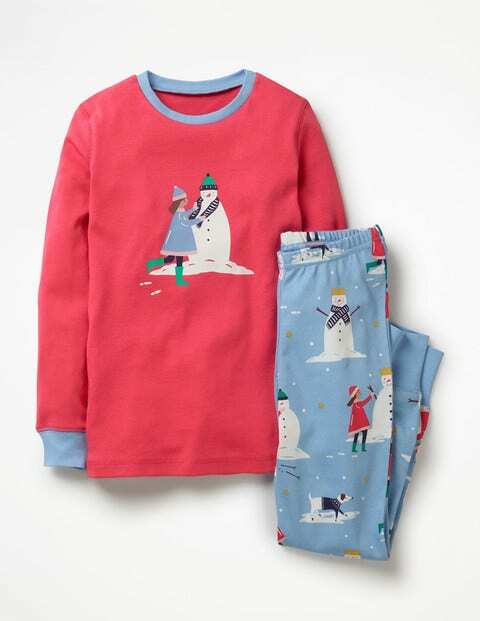 After a busy day's adventuring, these long johns are just the thing to slip into with a choice of stocking, llama, robin or snowman logo on the top. They're crafted from 100% cotton and feature an elasticated waist for a super-comfortable fit, as well as arm and ankle cuffs to keep in the warmth. You'll be the cosiest kid around.